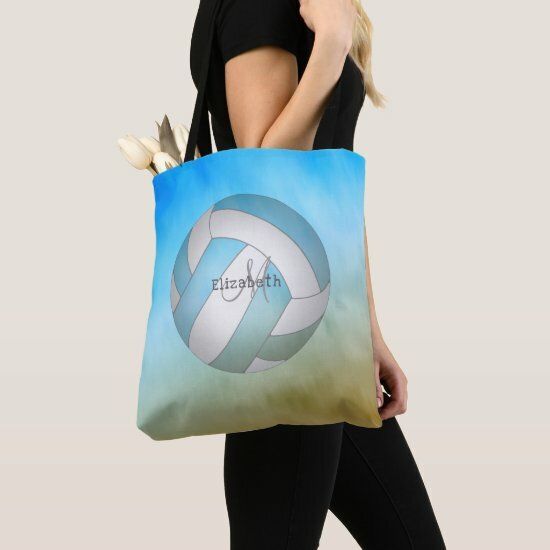 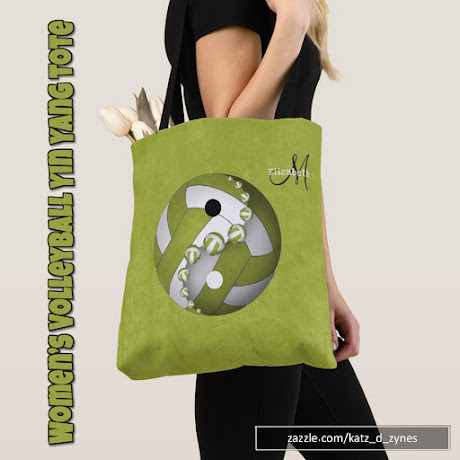 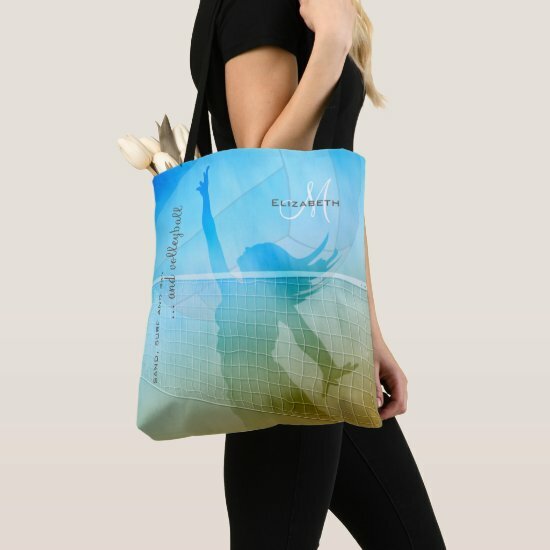 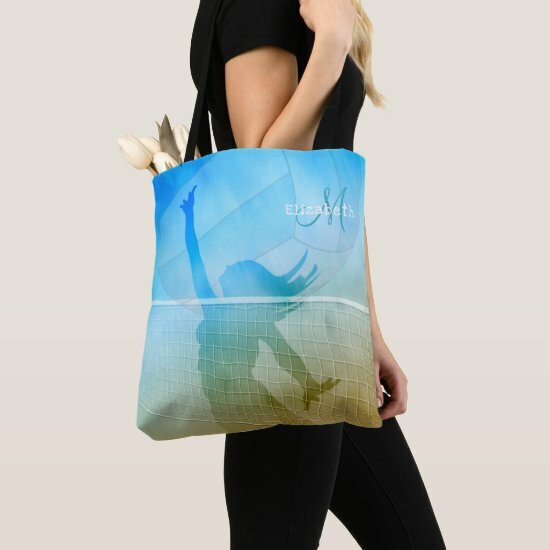 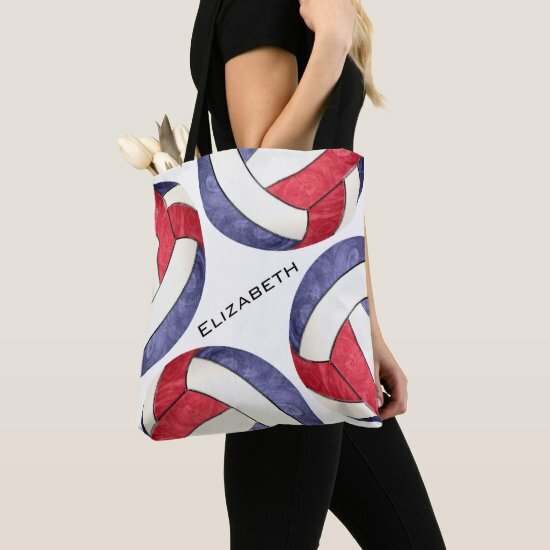 Whether you're heading to the gym or to the beach, these custom women's volleyball tote bags are perfect for getting your essentials to the volleyball match. 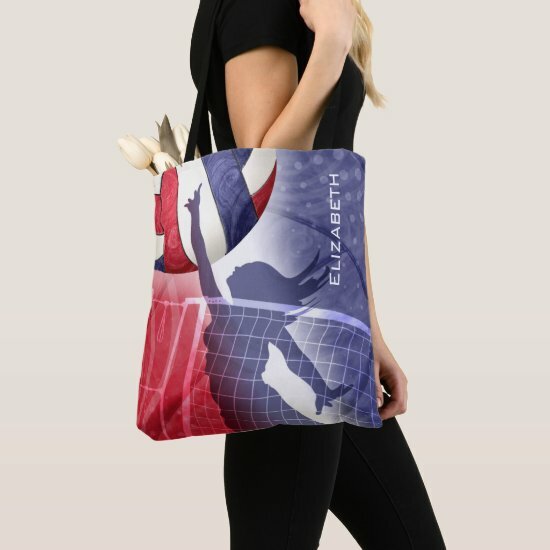 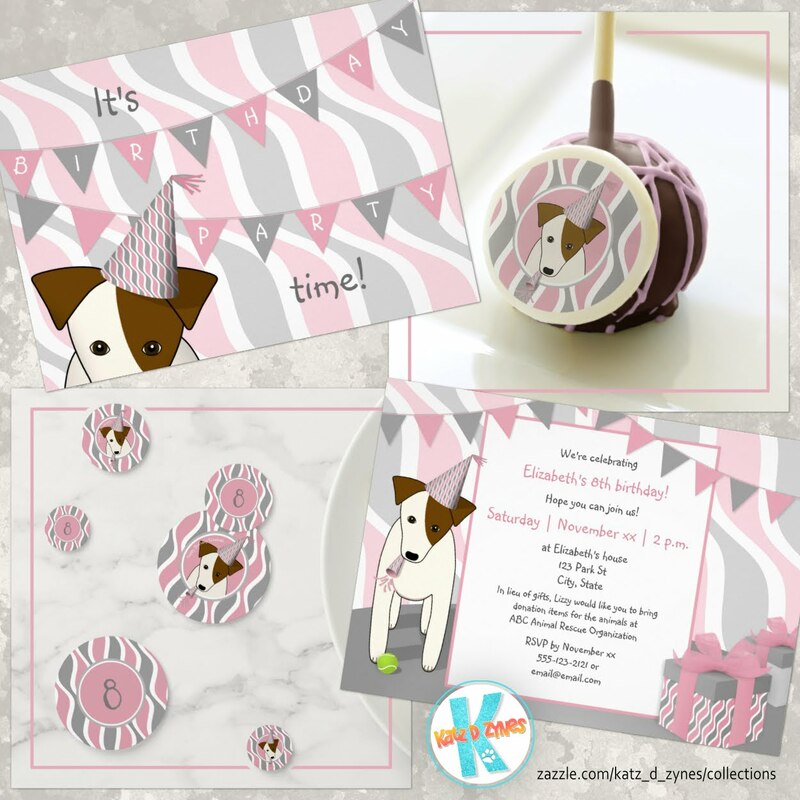 I have purchased one of my own custom designed tote bags from Zazzle and found it to be a very sturdy, generously-sized bag with beautiful printing (click here to see side-by-side comparison photos in my blog post Check out my custom JRT mom tote bag). 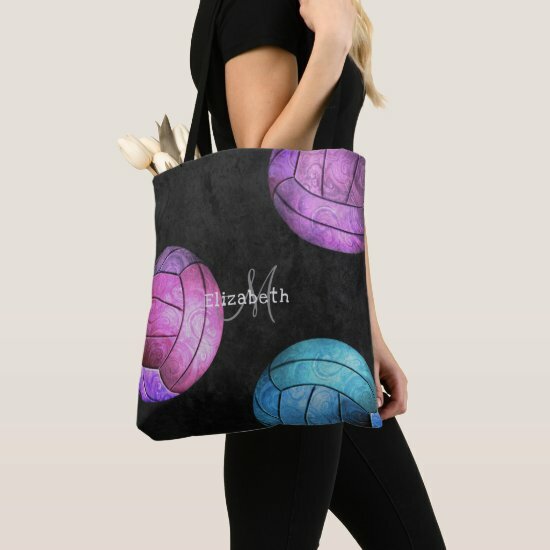 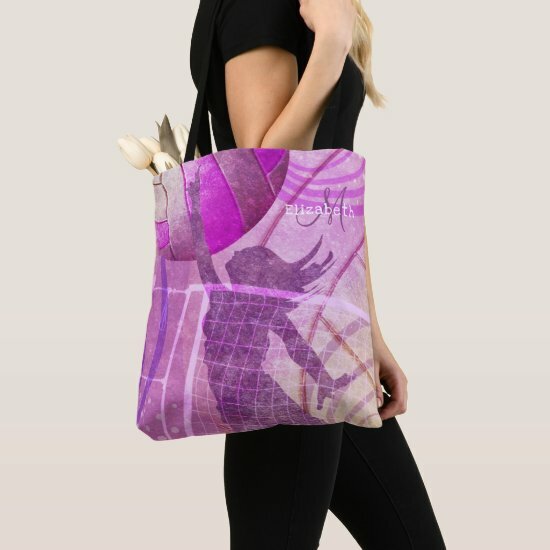 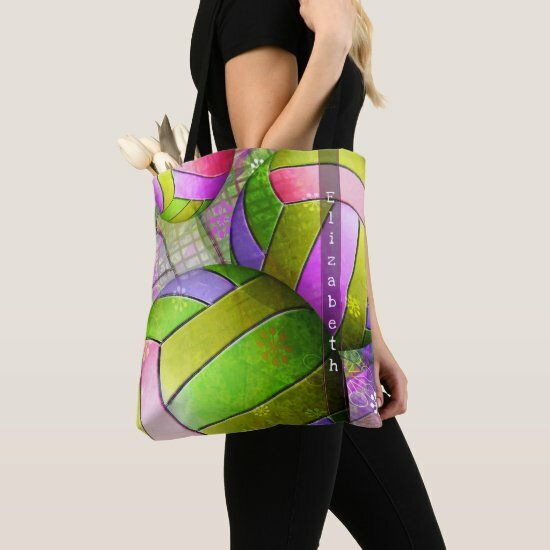 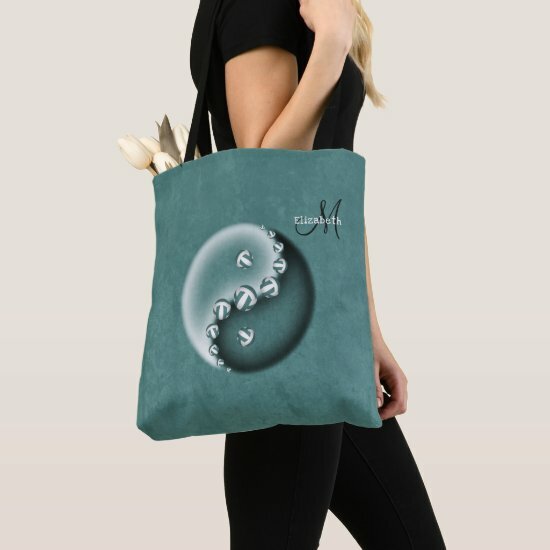 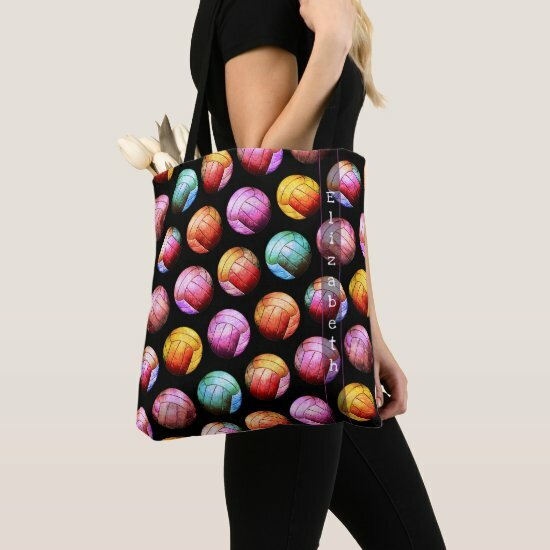 Available in two sizes (I purchased the medium bag) and as a cross-body bag, you simply can't go wrong with these custom tote bags ... especially with this 40% discount!